In the selection of Shalwar Kameez it is very important that you select those colors and material for clothes which should be suitable for that occasion in which you are going so if you are going in any party you should chose that type of material which will be some fancy and also have some simple touch. In the selection of colors I think time of the function is very important if you are in day light function I think its better to wear light colors and if you are going to evening party I think you should wear bright colors with some fancy touch. So I think party wear is most common wear which we using mostly as compare to formal dresses or heavy dresses. Selection of Wedding Favors according to season. Wedding is the most important event of every man. So wedding is a unique event it should be very special in any matter. Wedding favor reflects the bride and groom, so the selection of wedding favors is important. European upper class was used such gifts to show their status and were used sugar in the decorated boxes because sugar was expensive thing. Sugar is sweet and everyman likes it, so the main idea behind the use of sugar was to represent the sweet and nice relation. Wedding favors get much appreciation and became the essential part of any wedding. Now not only upper class, middle class also prefers the wedding favors to make their wedding unique. The use of sugar in boxes was replaced with some other expensive and sweet things. Almond is now the substitute of the sugar in wedding favors. Almond is an expensive food but anyone wants to use them in wedding favors because this event is very important for every man. Jordan almonds are also using in wedding favors. Wedding favors have important place in the Italian culture. In Italian culture it is known as bonbonniere. In the selection of wedding favors season, fashion, theme and financial position plays an important role. If wedding favors selected according to the season we will use those things which are using in that season. In summer we can use cold cake which is known as favor cake. In winter we can use different types and colors of almonds in beautiful boxes tied by color full ribbons. In spring season there is lot of ideas in the selection of the favors because in this is colorful season having color full natural atmosphere. We can use different flowers with different colors. We can use matching colors of flowers with theme and dresses of the couple. In Presentation of wedding favors beautiful ribbons and silks are using in these days. Couple selects the nice colors to decorate the wedding favors because decoration represents the ideas and nature of the couple. Some people use beach product to decorate their favors. In such decoration different shapes of beads can be used to make favor boxes and also use for the decoration of the boxes with different colors of attractive beads. Every couple wants to make unique wedding favors. Uniqueness will make their wedding special. So we can make our wedding unique by the selection of favors according to the theme of wedding. We can consult the organizers of the weddings for the selection of wedding favors .They can help us to select the gifts or favors according to the theme, season and fashion. 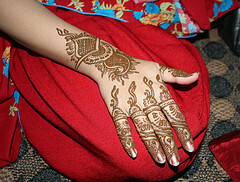 Make Mehandi design is an art and they have is bless with a gift. Mehndi menhdi designer can create that design looks incredibly good and feel great. 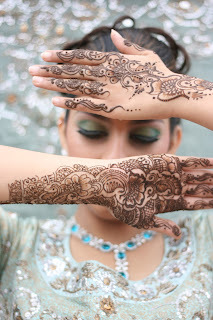 To be a designer Mehndi, you have creative, has to be good in drawing up the designs. You can also use make Mehndi Stencil design patterns in the hand and only trace and make incredibly beautiful Mehndi design. 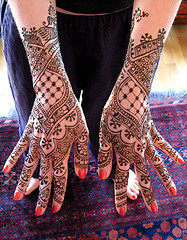 The possibilities are lower limit for Mehndi design. 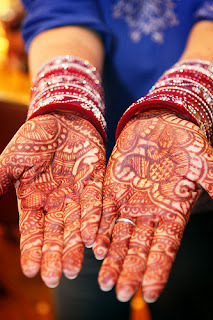 Just be creative and create a great design Mehndi for you, your friend or relative. Mehndi, or henna tattoos, Indian art is an intricate design that is most commonly in the feet and palms. Most commonly used during the Indian wedding, Mehndi is thought to bring good luck and fortune to the wearer. 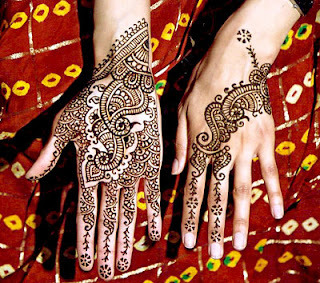 Not only is a beautiful art of Mehndi to grow in popularity, the henna used is said to create a "chilling" that stimulates nerve endings. 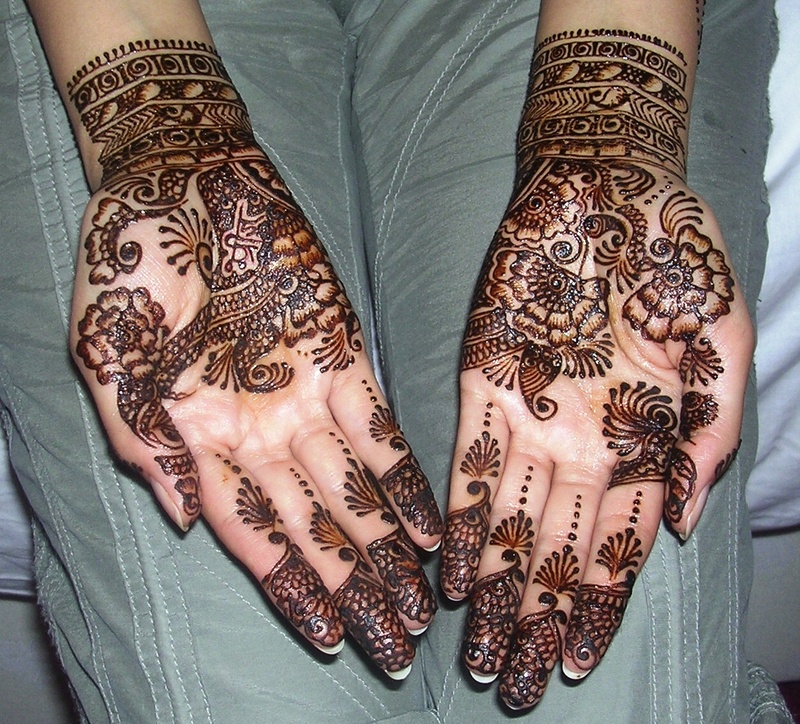 In the modern era usually people buy readymade henna cones, which are ready to use and easy to make paint. But in rural India, women grinding the fresh leaves of henna in sil (grinding stone) with oil added, although not as refined as professionally trained henna cones, brings much darker colors.